Superb for winter interest in the garden when little else is looking good. These shapely domes of neat, evergreen foliage are topped with pretty clusters of scented, pale pink flowers from late spring. 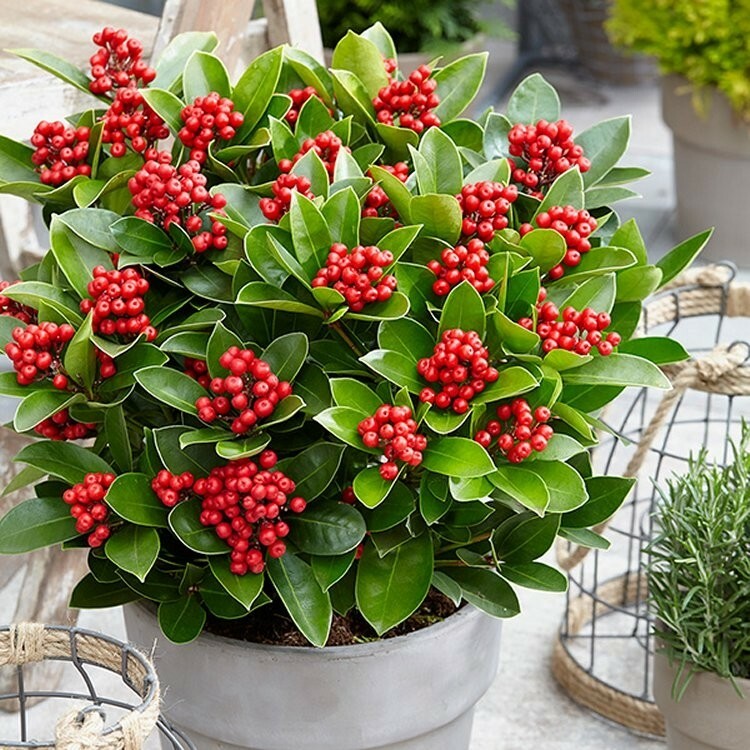 As these fade, large bunches of glossy red berries will develop if there is a male Skimmia nearby (We recommend Kew Green or Rubella as a perfect partner). The berries last well into the icy months, beyond the winter soltice, and into the new year, making this shrub a seasonal joy. It will grow very happily in a smart patio planter on the patio or balcony, provided it is not left to bake in full sun all day, and is kept well watered during the growing season. It is also fantastic for under planting in wooded land, or if your garden is more modest, why not add something special and add structure to a mixed border? It's a perfect plant for the garden to provide interest when little else is looking good. 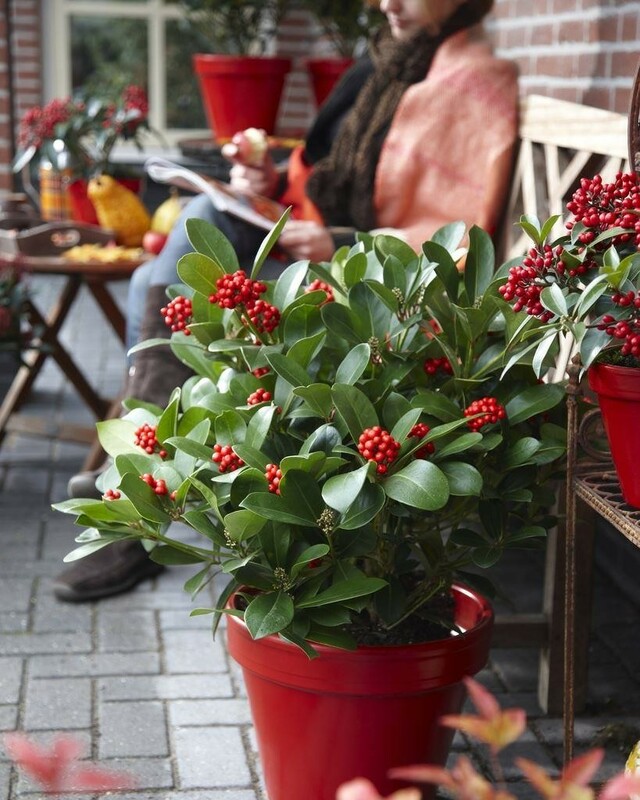 Quality plants are supplied in approx 7.5 litre containers full of berries in season.